Welcome to Binoculars UK's Other Optics page! 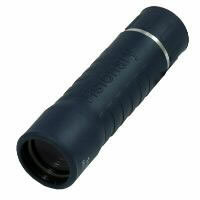 The Visionary 8 x 21 Monocular black with case.  Featuring a Roof Prism.  Ideal for Horse racing, Camping, Motor Racing, Bird Watching etc.  Rainproof (these will be OK in light rain).  10 Year Manufacturers Guarantee.  Supplied with Case and Strap. 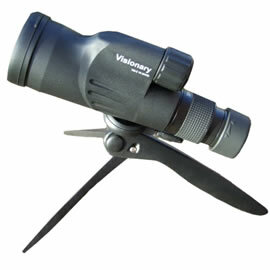 The Visionary 10 x 25 Monocular black with case. Designed for the space conscious outdoor enthusiast and bird watcher, the new ultra compact spotting scopes are possibly the best value in the market today. The 10x magnification gives good magnification for most uses and the 50mm objective lens gives superb bright image. Rubber armouring protects your spotting scope from abrasions and damage from regular use. All Visionary M Scopes are waterproof, fog proof and nitrogen purged to ensure many years of performance. Very high quality monoculars, BAK 4 prisms, multicoated lenses and full waterproofing. Includes case, mini tripod and 10 year guarantee. Designed for the space conscious outdoor enthusiast and bird watcher, the new ultra compact spotting scopes are possibly the best value in the market today. The 12x magnification gives reasonable magnification for most uses and the 50mm objective lens gives superb bright image. Designed for the space conscious outdoor enthusiast and bird watcher, the new ultra compact spotting scopes are possibly the best value in the market today. The 15x magnification gives strong magnification for ideal for most uses and the 50mm objective lens gives superb bright image. Designed for the space conscious outdoor enthusiast and bird watcher, the new ultra compact spotting scopes are possibly the best value in the market today. The 20x magnification gives high magnification for useful for long distance use and the 50mm objective lens gives superb bright image. Designed for the space conscious outdoor enthusiast and bird watcher, the new ultra compact spotting scopes are possibly the best value in the market today. The 10-30x magnification gives great vesitility to find what you want wide angle and then zoom right uo to 30x to get that closer look. The 50mm objective lens gives superb bright image. Rubber armour covered . A rugged rubber armour covering quiets down bumps and protects your spotting scope from abrasions and damage from regular use. Waterproof, Fog proof & Nitrogen Filled . All scopes are waterproof, fog proof and nitrogen purged to ensure many years of performance.